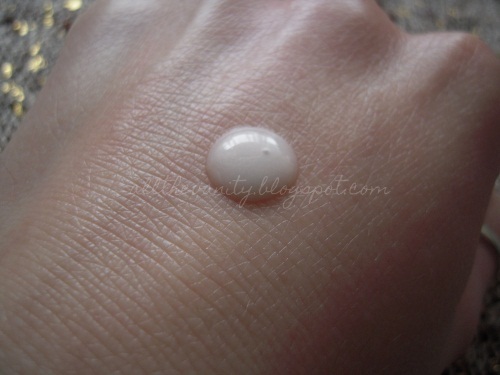 Tried and tested: Lancome Visionnaire Advanced Skin Corrector! Quite a long hiatus, again, I know, but, believe me, this one was definitely unplanned: March has been utter crap so far on almost every aspect and, to top it off, I've been insanely busy (with what you might ask? Well, you need not worry, I'll spill the beans in due time)! 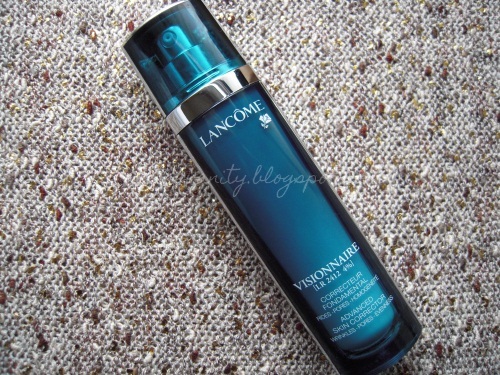 Today, I'll be reviewing a (fairly new) skincare product, whose ads in the very least will have probably caught your attention: I'm talking about Visionnaire, the most recent serum by Lancome. Now, I won't get too technical on you, analysing the breakthrough molecule fancily named LR2412 (overkill much?) - I'll just share my overall experience. Starting off with the consistency, you notice that Visionnaire is a lightweight serum, that spreads extremely easily on the skin, without feeling greasy or slippery (as say Smashbox Photofinish primer does - and there's a reason why I'm bringing this up). It gets absorbed in a matter of seconds and leaves no traces of unpleasant stickiness. Personally, I find that it's quite a "moisturising" serum and those with oilier skintypes could even get away without adding a moisturiser on top. On the left you have my dry, untreated hand and on the right you have my hand after a layer of Visionnaire. I found the results even more noticeable on the face: the skin is much more smooth and supple and you get this radiance (not to be mistaken with greasiness or oiliness), almost as if you've woken up fully rested while on vacation (I'm not exaggerating, I've had people compliment my skin after an 8hr trip without any sleep, so it's gotta be working). Would I classify it as "skincare" though? Nope, not exactly: Visionnaire does contain a fair number of silicones in it (partially why it makes the skin look so good), so I'm a little apprehensive to use it overnight, despite that being the recommended method. I have to admit though, using it during the day underneath my foundation, it never broke me out. Long story short: yes, this will make your skin look good, or very good. It does seem to slightly tighten the pores and the fine lines do appear diminished (if that is a result of the silicones or of the fancy molecule, which is said to slow down cellular turnover, I wouldn't be able to say). If you're looking for something to address your aging skin's needs, I'm not entirely convinced that this is it, but if you're looking for a resurfacing product that triples as a primer, serum and moisturiser, then this is probably as good as it gets. Huge downside: the packaging. No idea whatsoever as to how much I've used. Come on Lancome, this is an expensive product, I do deserve a heads up before I run out (of course the argument there could be that if you can afford it in the first place, you shouldn't have a problem picking it up again, lol)! So, have you tried this yet? What do you look for in a serum? Do you have any specific skincare or priming product that you rely on to make you look good when you need a little something extra? Disclaimer: this product was sent to me for review consideration. My thoughts and opinions on it are an honest reflection of my experience, and yes, I would purchase this with my own money. Great review on the Lancome Visionnaire. 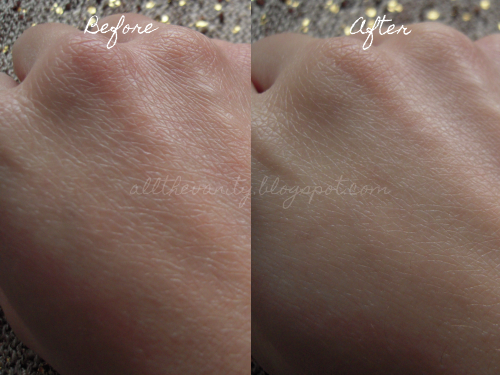 And I can see the pink irridescent sheen in the picture you took :) The before and after picture on your hand does show a difference and like you said, I think the iridescent formula reflects very nicely and it's probably a good moisturizer also. I haven't tried this product yet and the serum I use now is the highly raved Estee Lauder Advanced Night Serum. I've been through a few bottles of it now and I still don't see any amazing results or any real visible results. But it's an anti-aging product and I guess there's not much anti-aging my skin requires. I do want to stay on the preventative side rather than wait til I have to fight aging.....so I don't know if I will keep it up or not. I will probably try other serums based on good reviews. @Karen Law: Thank you sweets! Here's hoping! I'm aiming on ending this month on a high note, but it's clearly a streak of bad luck all around lately (to say the least)! Hey girl!I hope everything goes well from now on! On to the lancome serum now. thanks for your review, it looks interesting, and i like the fact that you pointed out that using it as an overnight serum won't do for you. I might go and pick some samples of it to see if it really does the job before i apply my make up and see if it's worth the hype and purchase it. How much did it cost? @fashion written with a lipstick: Hey girl, yes, hopefully the torment of March 2012 is about to be over in 4 days, yeeeehaww! As for the serum it's surely a very expensive product, it retails for about 80 euros. Definitely one to get samples of, before you purchase! Unfortunately, I'm thinking I should probably start saving for it, I'm a huge believer in sticking to what gets you those compliments, lol! I am just thinking...Can you compare it to MAC Strobe cream or Lotion? I mean apart from the texture..the serums is obviously lighter than a cream or even a lotion..
Hope everything goes well from now on doll! !this month was something else..
@Blushingloves Irene Greece: Aντε καλο μηνα επιτελους, κ ας ειναι ο Απριλης το αντιθετο του Μαρτη!!! Ελπιζω ολα καλα εκει! Με τις ετοιμασιες κ τις υποχρεωσεις εχω χαθει κ εγω! Twitter dm me anytime!!! 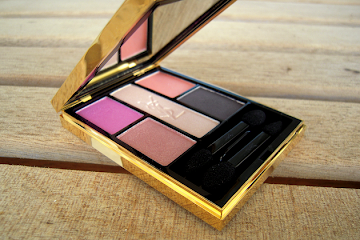 I've been using Visionnaire since it came out, several months. It has totally transformed my skin. Decades of big pores? Pores gone. Skin is young and vibrant. I was born in 1960 and i pass for early thirties. It works at a very deep level, so that while yes, the serum will immediately plump and pinken skin, after four weeks the real changes start to be noticeable. Then? It just gets better and better. I have hated my skin all my life, now I love looking at my refkection. Can't believe it! It is absolutely a skin care product. It takes a full month of every day use to get the full benefit of Visionnaire. My forehead wrinkles have faded to the tiniest of lines, and the lines around my nose/mouth area are GONE. you can't use it once or twice and do an in-depth review of this product. You can review Genefique after 7 days, but Visionnaire takes a longer amount of time, since it's a "corrector." It took about 4 months to reduce my deep forehead wrinkles to the point they are now, so it definitely works more, the longer you use it. Please don't spread the misinformation that this is just a "cosmetic" product, because it's the best skin care product I have ever used. I am thinking of growing out the bangs I have had since my 20's, which I have used to hide my horrible forehead! 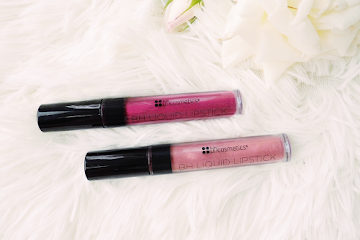 I certainly did not write my review after only trying it once or twice, I used this product for the most part of several weeks before I put this post together. As for the "misinformation" that you refer to, I didn't say this was a cosmetic product in any case, but to me, this is not 100% skincare either. In any case, anyone is entitled to an opinion. my age is 24...is it better for me to use lancome vissionaire? @Aiden Laviara: At your age, I would think that your skin doesn't need much help - if however you have enlarged pores or work long hours and want a product that will make you look more rested, then I'd say give it a go! a great review there, but the downside that it's too expensive for me. I couldn't afford to buy the original size because it's like almost half of my salary here, so instead i had 5 of the 7ml tester to try it out. Though it doesn't make much difference to others, but to me, i feel the significant differences and i love it! Combining with the genifique tester that i got as well it makes my skin amazing. but i'm afraid, would i need to be relying on this product in the future then? Hi Tina, given that Lancome's a bit pricey, is it worth using daily (work days) or should be reserved for attending special events? Thanks! @Aisa de la Cruz: Apologies for the late reply. To be honest, I personally do use this mostly for nights out, or when I look tired or haven't had much sleep! If you want to look polished and perfect everyday (especially in case your skin has imperfections you wish to hide like pores etc), I'd say go for it, otherwise, I'd just save it for some more special occasion! 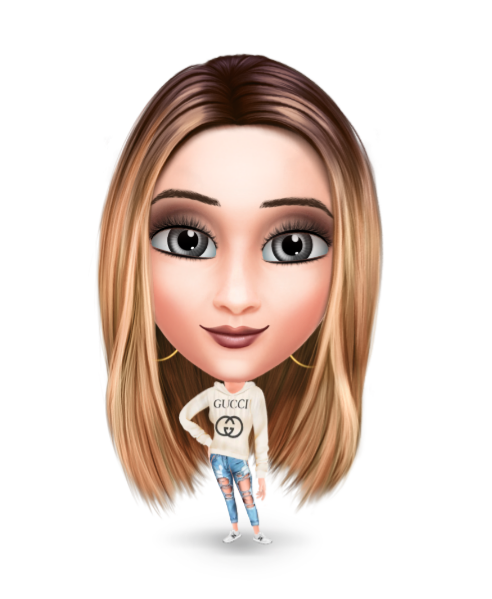 @natalie: I have a couple samples of Genifique, but I haven't properly tested it out..! As for wrinkles, I don't think there's many products that actually reverse the damage, except maybe for retinoids. Most products, will soften the skin and make it plumper, so wrinkles won't show, but they won't diminish them! Another range worth checking into is Korres Quercetin & Oak, I've used the night cream in the past and I remember that my forehead lines were significantly reduced after a few days of use (of course, stress will always bring them back)!